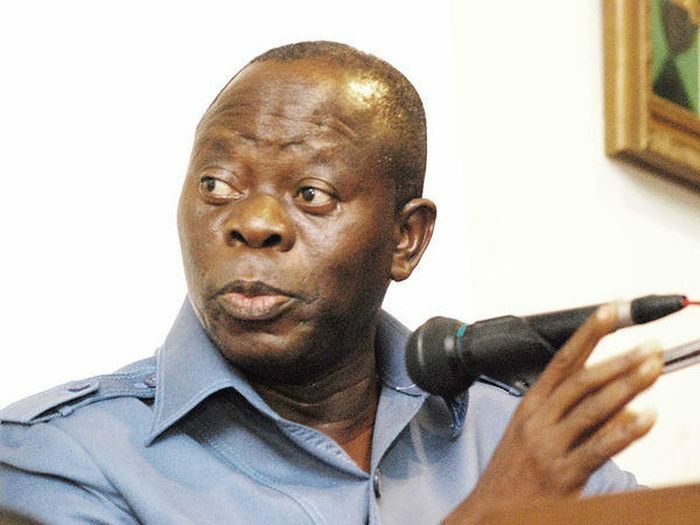 The National Chairman of the All Progressives Congress (APC), Adams Oshiomhole, on Friday said former President Olusegun Obasanjo would not escape prosecution if President Muhammadu Buhari decides to probe the power sector. Oshiomhole stated this in Jos, during the opening of Plateau State Governor, Simon Lalong’s reelection campaign, at the Rwang Pam Stadium. “Obasanjo said in 1999 that if he was elected President with his Vice-President, Atiku Abubakar, he would fix the power sector in six months and that there would be electricity supply all over Nigeria. Many years later, we realized what he meant. “He and his Vice-President spent $16bn on the power sector, after eight years there was more darkness in Nigeria than when they assumed office. So when President Muhammadu Buhari took over in 2015, he asked a question: where is the power? If Mr. President pursues the answer to that question to its logical conclusion, he must put Obasanjo on trial,” he said. Oshiomhole expressed regrets that those he said supervised the collapse of the power sector and other sectors of the economy, had regrouped to return to power. He urged Nigerians to reject them in the forthcoming general elections to enable the country to move forward. “Atiku is from the customs and (Peter) Obi is a trader. Their ticket is part of Obasanjo’s PDP. They can never change their colors. “Already, Atiku has said he would sell the NNPC if elected. If given the chance, I’m sure he would sell the country. So, Nigerians should not vote them during the next election,” the former Edo Governor added.